A few years ago, getting your phone out in class would have ended with a stern word from your teacher or worse, getting your massive brick of a mobile confiscated. These days it is rare for students not to take their mobile phones to class and some are even giving out phones to students, instead of taking them away! Inside and outside of formal academic studies, smartphones have had a radical shift in the way that we learn. Having easy access to the internet and countless resources at your fingertips means that curiosity no longer needs to be satisfied by the limited knowledge of people in our immediate day-to-day life, instead with a few simple clicks and wifi signal you can find out from a source from a different continent that yes, the sum of all the numbers on a roulette wheel is 666. Though many sticklers will pertain that smartphones are a distraction from education, and though this may be true in some sense; smartphones have opened up many more doors to access to information and connectivity that far outway the negatives. It is only a matter of time before smartphones and other smart devices become a staple of academic education and already a number of schools around the world are starting to set the trends. For people who have long since left the life of formal academia behind, smartphones mean that the learning never really stops and that we, as individuals are more responsible for our own learning than ever before. Whether your interests are cooking, astrophysics or reading up on Game of Thrones fan theories, you can learn about it from almost anywhere. This of course calls into question the relevance of higher education, especially when it comes accompanied with such high costs. The real argument against mobile phones is one of structure. With limitless subjects, sources and mediums of information available, it becomes easy for general users to learn sporadically, unsupported with deeper knowledge or a curve of learning. This is something formal education is good at. Though the argument for and against using smartphones as a focal point of learning is ongoing, the real successes seem to be with the schools and companies which blur the lines between online and offline learning. Structured courses, incorporating aspects of online learning seems to be not only the most understandable path for education, but the most beneficial to the learner. 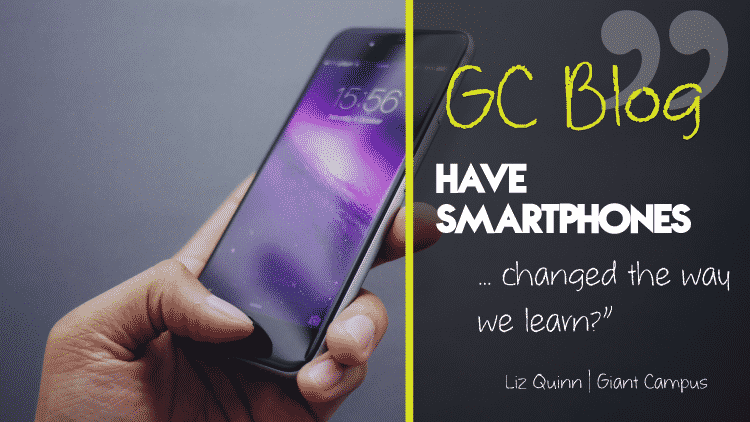 Educators have a great opportunity to help bridge the gap between exciting and informative study and smartphones are one of the best tools to help do that.